A professional marketing tool in your pocket! Target groups, Contacts and import from .CVS, .TXT and .RTF. 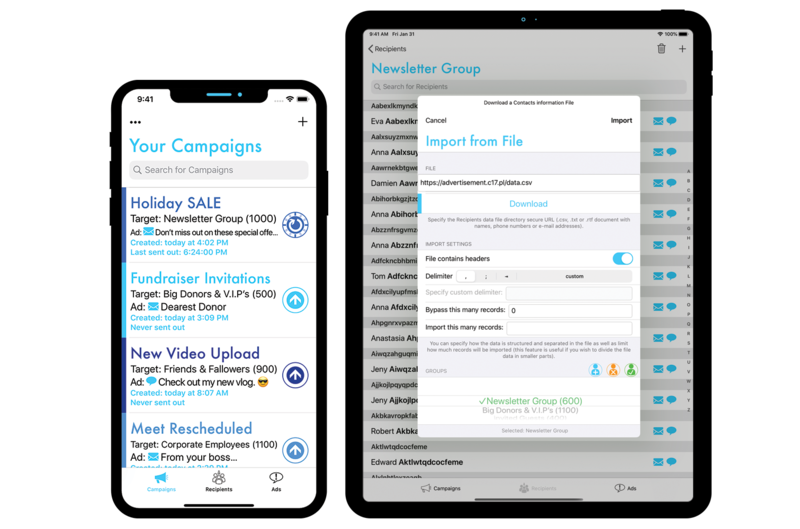 All your followers, friends, clients, users, players, voters, party or fundraiser guests, people on your mailing list, people who depend on you to alert or inform them – now you can contact them all, at a moment’s notice, via SMS or rich E-Mail, right from your iPhone. 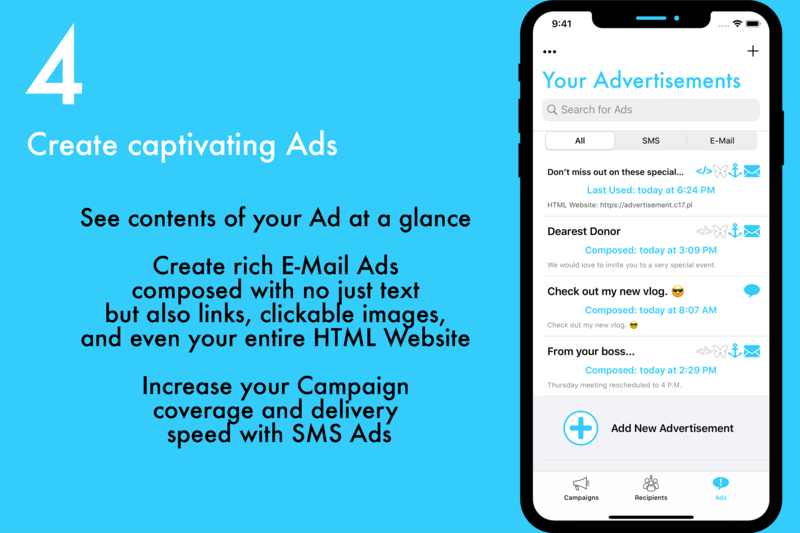 Get your message across and increase the recipient’s retention rates with rich E-Mail ads composed with no just text but also links, clickable images, and even your entire HTML Website. Increase your campaign coverage and delivery speed with SMS ads. With advanced batch queueing mechanism, Advertisement is optimized to take full advantage of your iPhone performance and allow you to contact significantly more recipients - quicker. Want to target a specific group? Your entire Contacts? With Advertisement it’s simple. 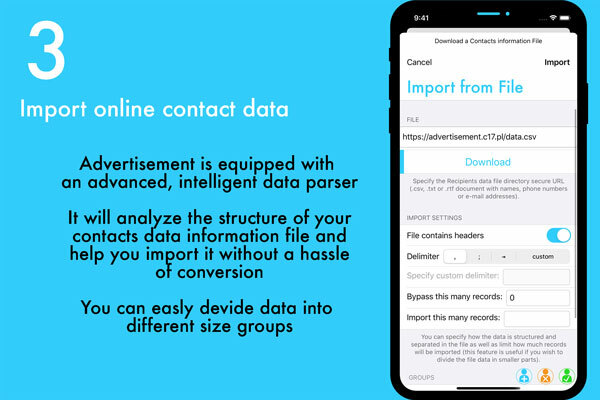 You can even import structured recipient’s contact information from online .CSV, .TXT and .RTF files! 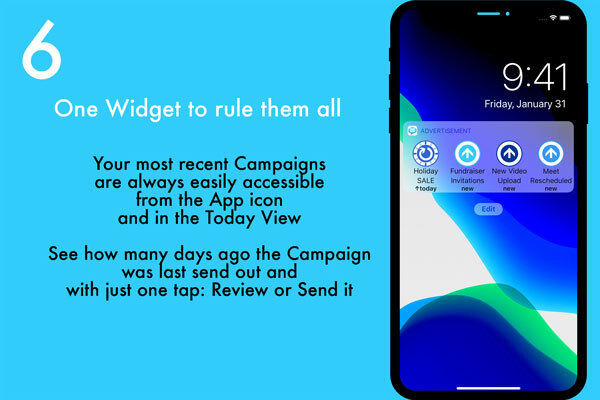 Thanks to the Campaign Widget, your most recent Campaigns are always easily accessible from the App icon and in the Today View. 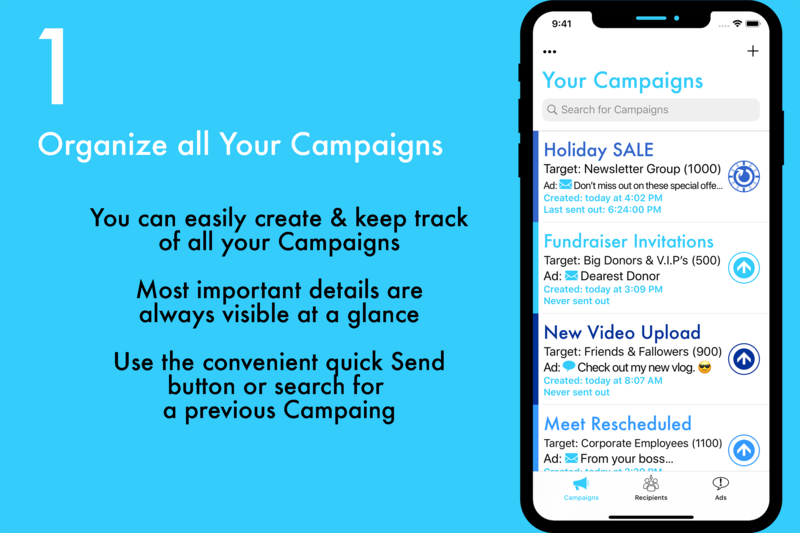 To make sure a scheduled Advertisement Campaign goes out exactly as planned, you can add specific Notes and be notified about it repeatedly at given time: weekly, monthly or once a year. Plan & Run a successfull Campaign from your iPhone. Let your clients know about new offers quicker than ever. Make sure your friends always get the freshest info about your party! Always stay in touch with your followers. and get everyone the specific information they need now. We have some great new features still in the works, but we also want to hear from you: what do you need? 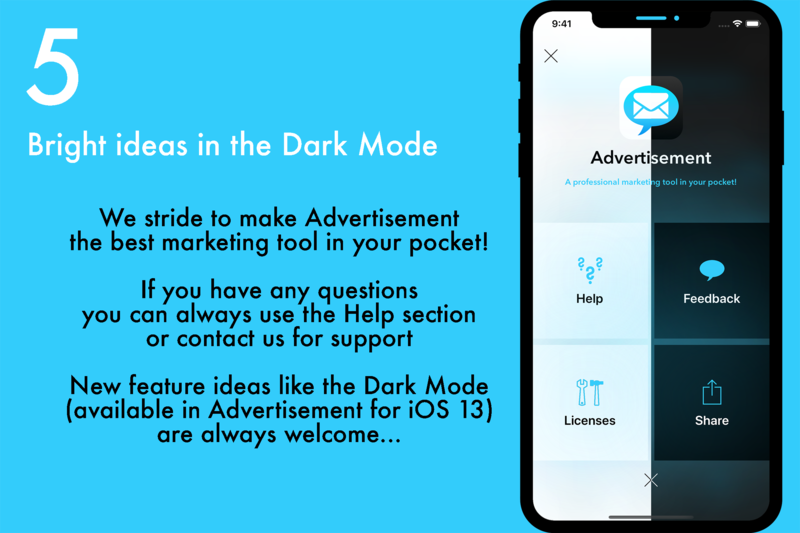 What would make your ad-related work easier? Advertisement is all about successful communication with your desired audience. All ideas are welcomed. Apple, the Apple logo, iPhone, iPad, and iPod touch are trademarks of Apple Inc., registered in the U.S. and other countries. App Store is a service mark of Apple Inc.